Have a Nice Lunch ... Bag! 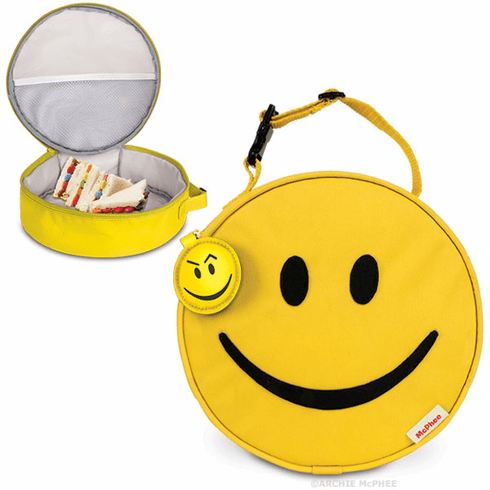 Home > Costumes, Clothing, & Accessories > Accessories > Lunchboxes, Backpacks, & Pencil Cases > Have a Nice Lunch ... Bag! Have a nice lunch! An insulated, 9" (22.9 cm) diameter, 3" (7.6 cm) deep, nylon bag that is happy to keep your lunch warm or cold. It has an extendable buckle handle, a two-sided zipper dangle and a secret tiny pocket inside for your treasures. Smiles are always in style.